He’s charming, immensely talented, and absolutely extraordinary – he’s the brilliant, Ricardo Hurtado! It goes without saying that Ricardo Hurtado is one of our favorite people on this planet. His talent is indescribable and there an endless amount of things that makes him oh, so awesome. We love getting to see Ricardo Hurtado jam out and rock on in the spectacular and highly-acclaimed, hit, Nickelodeon show, School of Rock. From amazing performances to a whole lot of #Fremmer moments, we are hooked onto watching School of Rock. Whether it’s on our TV screens, watching his YouTube videos, or seeing his terrific, social media posts, seeing Ricardo Hurtado always puts the biggest smile on our face. Ricardo Hurtado’s acting skills are out of this world and in each and every episode of School Of Rock, his impeccable talent and outstanding personality is always evident. In addition to being a remarkable actor, Ricardo Hurtado is also a show-stopping musician. We can’t help but swoon each and every time we watch all of his exceptional covers and no words can describe just how incredible his singing voice is. Ricardo Hurtado is phenomenal and we can totally see why he’s everyone’s #ManCrush everyday! I, Alexisjoyvipaccess had an excellent time covering the premiere of Nickelodeon’s Tiny Christmas and had a marvelous time catching up with and interviewing the wonderful Ricardo Hurtado again at the event. Ricardo Hurtado dished exclusively to Alexisjoyvipaccess all about what are some of his holiday traditions, where would be the first place he would like to visit if he swapped lives for a day with Santa, and so much more only in our VIPAccessEXCLUSIVE updated interview. Ricardo Hurtado even revealed what he would like to see happen to his character in future episodes of School of Rock – hear what he had to say in our VIPAccessEXCLUSIVE updated interview below. Thanks for another fantastic interview, Ricardo! 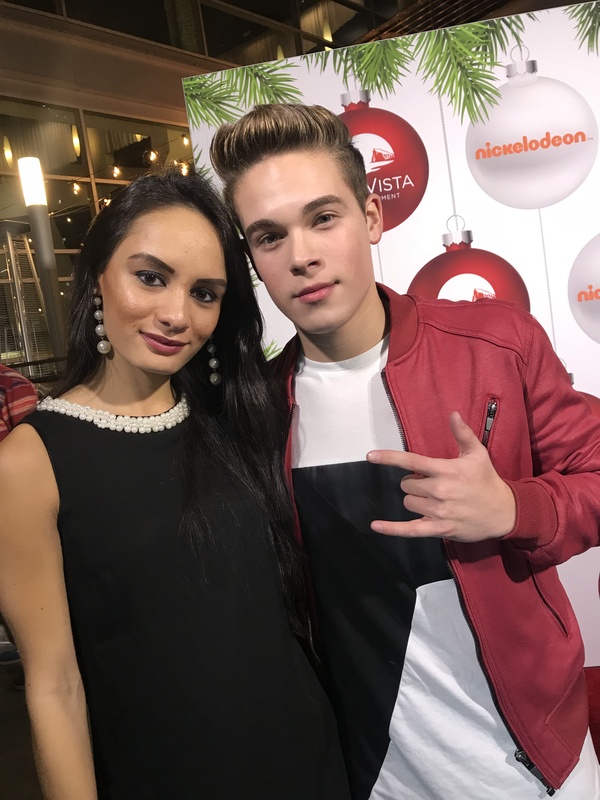 Check out my VIPAccessEXCLUSIVE updated interview with the sensational Ricardo Hurtado at the premiere of Nickelodeon’s Tiny Christmas below! Next VIPAccessEXCLUSIVE: The Gladys Tamez And Xinú Perfumes Collab Is The Greatest Hat Collection Out!